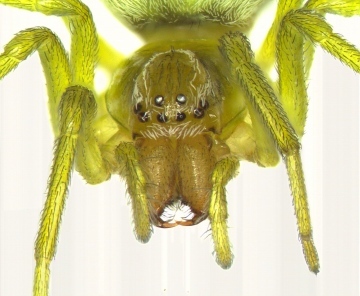 I think it probably is, but my personal view is that it would be very unwise indeed to accept this identification from images alone, without access to a voucher specimen under a low power microscope to check for confirmatory features. 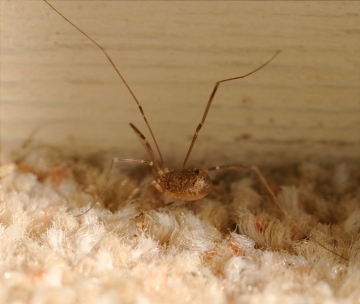 Harvestman help - Nelima gothica? I've been sent these photos from a naturalist in Cumbria who is convinced this is Nelima gothica - perhaps not a bad record for any county - but particularly for Cumbria where there are very few records. 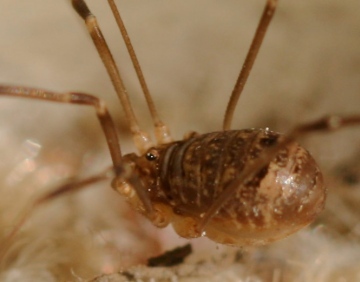 I have spent many an unproductive hour searching for orb-web spiders during this autumn. Has anyone else noticed a decline in numbers this year, or is it a feature of the chalk grasslands that I am searching?